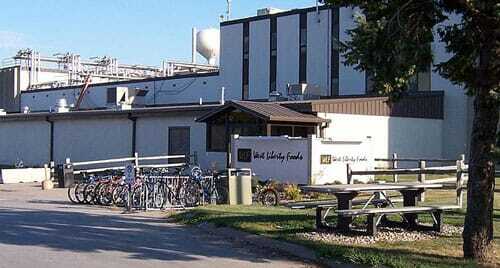 West Liberty Foods, a major US meat processing company, has been certified landfill free for the past five years. 22 December 2017, at 6:00a.m. One of the most imperative sustainability challenges facing industries today is reducing waste. Many companies have stepped up to reduce how much waste they produce, but some have eliminated it entirely. Find out how US meat processing company West Liberty Foods achieved zero waste to landfill. Back in May 2011, Michele Boney, the Director of Environmental Health and Safety at West Liberty Foods, a US meat-processing company based in Iowa, received a phone call from Ed Garrett, the company’s CEO. Garrett had recently been at an environmental conference and had been inspired by a presentation on zero-waste facilities. He told Boney he’d like to see this happen at their company. He then added that he wanted to get it done in a year. Within 12 months they had achieved their goal, becoming one of the first companies in the US to be certified landfill free, which means less than one percent of their total waste goes to a landfill and only three percent to an incinerator. The rest is recycled or composted. Over the years, as the company has continued to grow, they’ve not just maintained this status but have continued to improve their sustainability practices at their five facilities in Iowa, Illinois and Utah. Since 2012, the company has diverted more than 520 million pounds (over 235,800 metric tonnes) of waste from local landfills. The company turned to NSF International, a product testing, inspection and certification organisation based in Michigan, which had certified West Liberty Foods’ original ISO 14001 status, to help it achieve the further goal of going waste free. Together they identified more than 60 waste streams – paper, plastic, metal, wood and food, to name but a few – which meant finding buyers for each and every one of these types of waste. Today, these items are being recycled, composted and incinerated to create energy. “We reached out to recycling centres in our communities that we were in, composting facilities, cement kilns in the area, as well as incinerators,” said Boney. But to reach their goal, it took changing the company’s culture and getting every employee to play their part, from the people in the processing areas and offices to top management – even the children at the company’s daycare centre. Boney said the employees’ participation and training was key to making the changes happen. Among the innovations was the company’s decision to remove the rubbish bins from the processing areas and offices and replace them with recycling containers. Each facility also had a “core team” responsible for implementing and improving practices so that they could continue reducing the amount of waste going to incinerators and instead find ways to recycle the material. There were some challenges, admitted Boney, including not realising that incinerators shut down one month a year for maintenance, which left the company scrambling to find a place to store waste (they ended up having to rent trailers and land) until the incinerator was back online. While West Liberty Foods initially had to invest in going landfill free, in the end, it has saved the company money by creating revenue streams from the material – such as cardboard, clean plastic, metal and paper – that they now sell to recyclers instead of toss into a landfill. The core teams continue to work on improving the company’s recycling processes and are looking into incorporating an anaerobic digester and solar and wind power into their facilities, said Boney. They hope their success will inspire other businesses to undertake similar initiatives. This article originally appeared in the May 2017 edition of The Poultry Site Digital. To read other articles from this issue, themed around 'sustainability', click here.